It looks like Valve's planned Steam Link app for iOS devices isn't coming after all, because Apple has rejected the app due to "business conflicts." In a statement, Valve said that Apple initially approved Steam Link for release on May 7, but ultimately decided to reject the app because of conflicts that had not been recognized by the original review team. Valve's appeals have not been successful at the current point in time, and the company is now hoping that media attention may spur Apple to change its mind. 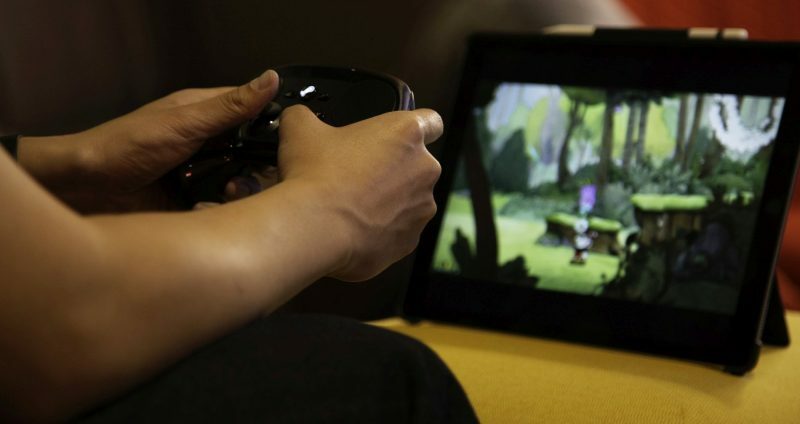 The Steam Link app for iOS, which was announced on May 9, is designed to allow Steam users to play their Steam games on an iPhone, iPad, or Apple TV using either a 5GHz WiFi network or a wired Ethernet connection to a host PC or Mac. Valve was planning to launch the Steam Link app this week, and Valve had worked to add Steam Link support for the Steam Controller and Made for iPhone controllers ahead of the app's debut. Earlier this week, our sister site TouchArcade was able to go hands-on with the Steam Link app and said that it works so well that "it feels like there's some kind of actual wizardry powering it all." In what might have been a bit prescient, TouchArcade editor-in-chief Eli Hodapp said he was "dumbfounded" Apple was allowing it given how good the gaming experience was. As Valve says, there are many other remote access-style apps available in the App Store, so the reasoning behind Apple's decision is unclear. It is not known if Apple will ultimately end up reversing its position on the Steam Link app given the media attention, which has happened in the past, but we've reached out to the company for a comment. I love Apple, always looking out for the consumer. Thanks Timmy Cook. BTW I love the new watch bands! Signed up just to say I´m done with Apple, I was looking forward to this, what a stupid decision, it would add so much value to the Apple TV, how idiotic can Apple be? The year is 2018 and Apple is still being petty about the app store. My goodness. Rejecting a great app like Steam Link, wow what a move again. They should be ashamed. Good thing I own an Sony with Android TV. I don't even know what they're whining about. This is all about playing AAA games on your iPhone, iPad or Apple TV instead of these crap games in the App Store. Gotta protect all those garbage apps in the AppStore, especially their precious pay2win revenue, from being cannabalized by actual real games. Any Corp is gonna protect their turf. I'd make the same decision. Protect their turf... from what exactly? This is just a (well made) LAN gameplay app. None of the games are available on iOS. Not very surprising is it? If they remove the functionality to buy games within the app I think Apple might reconsider. I must say though, this is the first time I’ve ever been remotely tempted to switch to Android. Edit: The more I think about this, the less sense it makes. What are the potential users of this app (ie, people who play PC games) more likely to do - forget about PC games and buy Angry Birds 15 instead, or move to Android and continue playing PC games now with the ability to stream them to their iPadwannabes? I know what I think is more likely, and it doesn’t increase revenues for APPL. Even the probable most common outcome, that people continue playing PC games without the ability to steam to their iPad is neutral for Apple - there’s no benefit for them in any outcome.